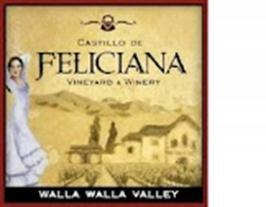 This Tuesday we’re having a special tasting of wines from Castillo de Feliciana a new winery in Walla Walla that takes inspiration from their Spanish roots and are dedicated to the enjoyment of the simple pleasures of life. Kara Castillo will be here to talk about the wine and her family’s project. Take a break and come join us. A fresh pour of this wine brings aromatics of ripe pear, granny smith apple, and layered notes of tropical pineapple. On the palate, the wine is characterized by a light body, crisp acidity, with complementing flavors of citrus zest and pear. This Rosé was made in the traditional style with 18 hours of skin contact. The berries were then taken to the basket press for gentle extraction. Complex aromas of cherry blossom, stone fruits, strawberry, and citrus zest entice the olfactory senses. A full-bodied mouthfeel sets the stage for an array of fruit flavors including strawberry rhubarb and peach. The flavors linger in a lasting finish. Tempranillo is the noble grape of Spain. It has spread throughout the world and feels right in the arid region of the Pacific Northwest. This Tempranillo has notes of raspberry jam that mix with spicy notes of black pepper. On the palate notes of mocha are balanced with fresh acidity, bold tannins, and a mouth coating finish. This dinner wine brings the refreshing nose of red fruits and vanilla. An aroma similar to standing in a strawberry field develops as the wine opens in the glass. Upon tasting, a round supple feel is balanced with a crisp acidity that fades with mellow intensity. The 2009 Malbec offers intrigue with a deep violet color, an inviting aroma filled with the bouquet of blackberry, chocolate, cassis, and laced with a hint of tobacco. On the palate, a full body is completed with soft tannins that intermingle with dark fruit, oak, and spice.